If you are currently considering car window tinting on Long Island, then you’ve come to the right place! 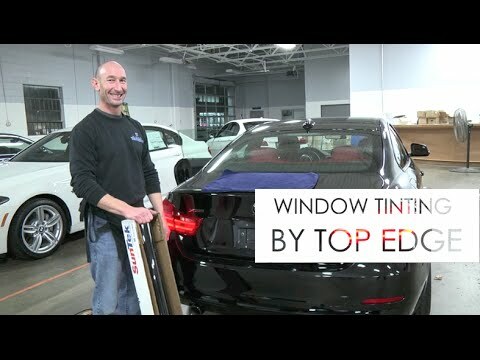 This article will discuss what you should expect from the application of your tints and how to treat the finished product. Installation usually takes anywhere from 1 to 3 hours depending on type of vehicle and the number of windows are being tinted. Window tints can be applied at any time of the year due to advanced technologies however the curing time may be modified in adverse conditions. After installation, it is common for the windows to appear somewhat hazy; this is an entirely natural process. After your windows have been tinted, a small amount of moisture will still remain between the glass and the tint- this is impossible to avoid and therefore your windows will take additional time to fully dry. This drying process tends to take longer in cold or cloudy weather, although window tinting does not need to be saved for the summer months. Window tint is a strong material that can easily withstand a group of rowdy kid and animal passengers. The only special attention you need to pay to your new window tints is directly after your treatment. In order for your tint to cure properly, your windows should remain rolled up for 2-4 days after they have been tinted. If lowered prematurely, your tint can peel off and will need to be re-applied. For professional car window tinting and paint protection film on Long Island, call or contact us today!